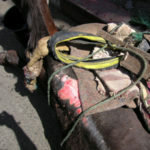 One of our main tasks is the rescue of animals in and around Marrakech, which unfortunately happens all too regularly. 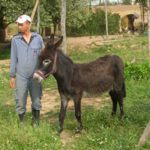 The detailed stories of Felix, Jack, Mabrouk and the other animals are only a small part of our rescue work. I have to neigh you something! I am a little donkey baby and my name is Whisky. 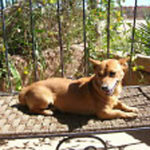 I was very dangerously injured, my thin front leg was broken – nobody wants me anymore! So I was abandoned! At night I was terrified, I saw the wild boars and the dogs were already turning around me! Suddenly a thunderstorm came in the night: Storm, lightning and the rain came down on me, it was so scary. With my last strength I pressed myself on a tree, to not be taken away with the masses of water! But I was lucky in my misfortune. 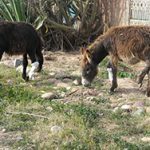 Horses, mules, donkeys, dogs, goats, sheep, cats, monkeys, peacocks, parrots, dromedaries, wild boar and, and, and…lived here. 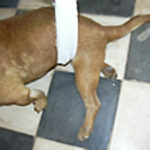 My wound was cleaned from parasites, worms, pus and dirt, treated and bandaged ! I was very kind. 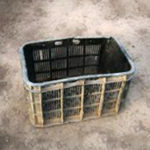 Finally there finally give me food, even carrots and apples were in my box, delicious! I had never eaten that before! And I could sleep – and I slept so quietly on my straw – like I haven’t slept in a long time. 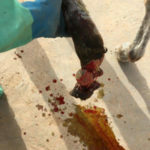 The next morning we drove to the clinic, the veterinarian Dr. Lamrani, saw my leg and said that does not look good, oh dear! 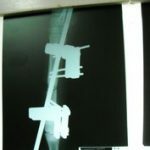 Then arrived the hour of truth: The x-rays were there – my leg was broken! That usually means: the death – injection!!! My God, my little heart was beating with fear, I was still so little! Suddenly I heard with my long dog ears the words of Dr. Lamrani: Ok, if you want, I will start an experiment for you: an operation! Oh yes, dear people you have read correctly, I the small Whisky had the luck to be operated! 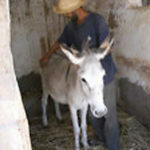 You must know, in Morocco you don’t operate on donkeys. After 2 hours everything was over and I came home again. In the following weeks I was very brave, without biting and kicking I patiently endured all treatments, injections and also the daily car rides. 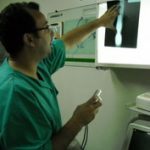 After weeks I was x-rayed again, the result was positive, so I was treated at home. 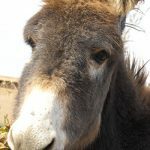 After 6 months the splints were removed, I could walk again and am the happiest donkey of Marrakech – because my life was given to me again. But such a help is only possible if you, yes you, help us further. But there is yet another Happy End, a friend of mine: Pushkin, suffered the same fate, he too was saved and now we are inseparable. I was born in the woods of the Atlas mountains. We had been a happy group until the hunters showed up. They killed our mothers and we were smuggled to a town called Marakesh. There our martyrdom began. Under violent circumstances we learned to do somersaults. Day in and day out we had to make money at the place “Djamel el Fnaa”- by cheering up the tourists. One day I got a real bad beating with a stick, my back was aching and I couldn’t do my acrobatic tricks any more. The animal tamer got very angry and kicked me and I had to crawl into a very small box. This became my home – for many years. But in the end I was lucky! Some Monsieur noticed me and made a big scandal because of me. I was freed from my prison and they took me to the hospital. At the moment I live in a dog kennel and a friendly man gives food and water to me. I also have a name now: poor Boy! There is hope, because I heard that I am supposed to go to the Sanctuary of the Fondation. Unfortunately my new home has to be built first, as there is no free space for me right now. I am so lucky! 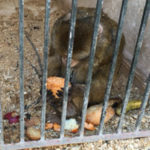 I will have new monkey friends and fresh food and water there! 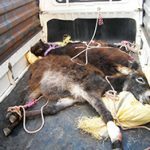 A young donkey, severely injured at the leg, should be exposed to murderous temperatures (between 40 – 50 °) alive in the wasteland and thus thrown to the wild dogs to the food. At the last second we were able to stop this horrible project and Felix (as we baptized him) was brought to us. 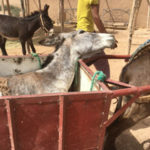 The temporary transport took Felix to the court of grace and he was immediately given water and hay. 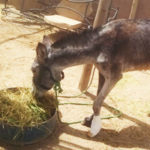 The half-starved donkey forgot his pain and ate and ate – he must have been without food longer. His injury was treated. Unfortunately an operation still has to be done. Felix desperately wishes for a godfather. 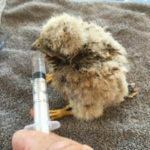 The little bird of prey suffered a cruel fate. Children plundered the nest. Two young birds were rescued thanks to a teenager. Unfortunately, any help came too late for his brother, but Simsim prospers and grows. 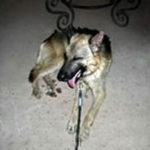 Smokey was in bad condition when she was brought to us by its owner, a farmer of the region. 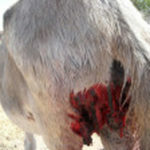 He wanted to use her straight away again for work and could not understand that the animal needed medical care. There was only one solution. We had to buy Smokey. 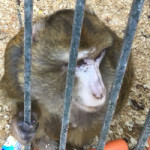 A call for donations to animal friends brought the necessary 150 € to buy her and 170 € for her medical treatment. 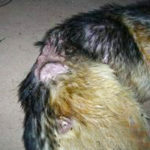 But Smokey, our poor little girl, had another strike of bad luck: After her bite wounds were healed, we discovered that she was pregnant. One morning we found a stillbirth with more complications. Our Vet came straight away and Smokey was saved a second time. 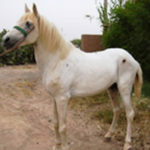 After a short time of treatment, she recovered well and is finally healthy and that is all we wished for. Isn’t the dog a good friend of us humans? One morning a man stood in front of the gate and said: “Here, this is Jack – I don’t want him any more! And disappeared. I am rarely speechless, but at the look of Jack I missed the words. A living cadaver – who was once a shepherd dog – looked at me pleadingly. He was crammed into an olive box and I saw only a little fur and festering wounds and above all his eyes. I quickly had a room cleared and when Jack had tortured himself out of the box he immediately fell over again! 11 kg dog. My comments, I don’t want to repeat! I’ve never seen a dog eat itself from hunger before. Horrible! First I gave Jack water – he immediately emptied 3 bowls. Then there were mini portions to eat, but he could only swallow canned food because he was too weak to chew. Then the room was littered with countless ticks in a matter of seconds. Now came the most difficult procedure: since the dog consisted almost exclusively of festering wounds, I could not spray it with tick repellent. So I first covered the wounds and then treated the tick, flea and lice plagues. After three days I had my first successes. Likewise the penetrating urine tank disappeared after some days – since the organs slowly took over again their normal function. After three weeks of intensive care and attention, the first successes were achieved: Jack voluntarily leaves the room and can walk a few meters again and he is looking forward, for the first time, wagging his tail at his caresses. Jack, in a few weeks you’ll be a dog again. I’m sorry – for the torment people have inflicted on you! feet. Then the miracle happened, one morning Apollo got up himself and ate. Apollo, who was called Skeleton, is now healthy and happy. 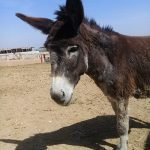 Our donkey Mabrouk has gone through a sad story. He broke down in the middle of the street and suffered from severe back injuries. After a lot of care and love he is now able to spend his old age days at the Sanctuary.